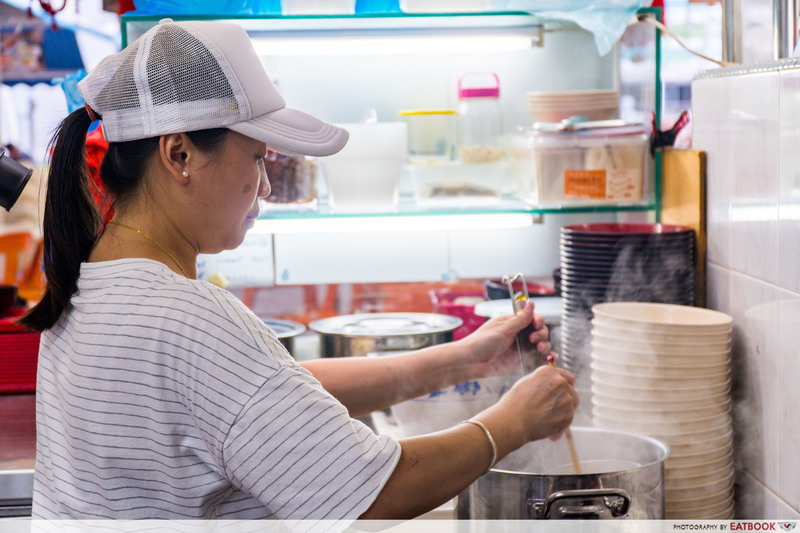 Madam Leong Ban Mian is not only well-known for delicious ban mian, but also for the story of its owner, Vivian Leong. 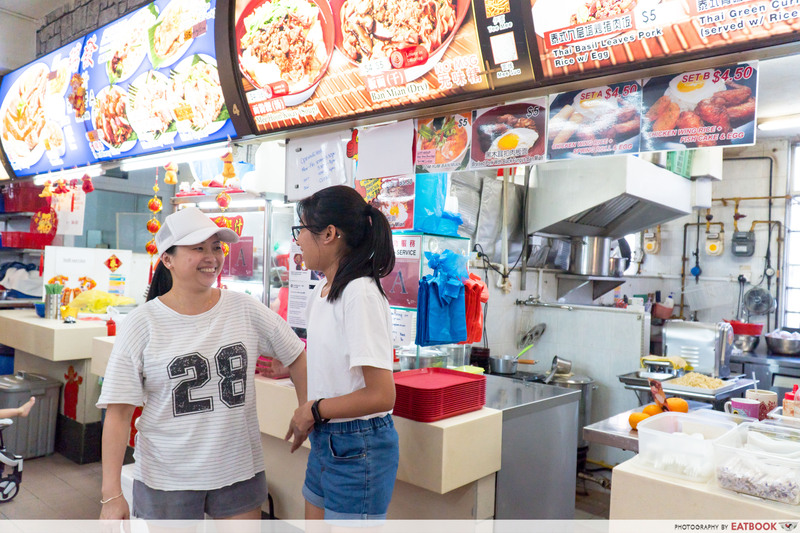 The 43 year-old single mother looks younger than her age, and is always seen with a smile when she serves her customers. Not many know, however, that this optimistic lady went through a tough period just six years ago, when she almost took her own life in front of her daughter. 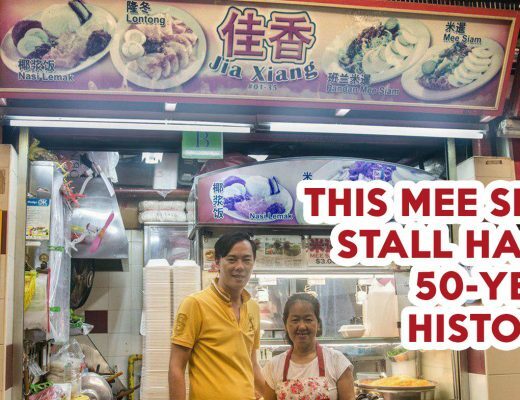 We headed down to the stall to find out more about her story, and how her ban mian stall helped her through rough times. Mdm Leong is from Kuala Lumpur, and moved to Singapore after she got married eight years ago. Her ban mian recipe was passed down from her mother to her. 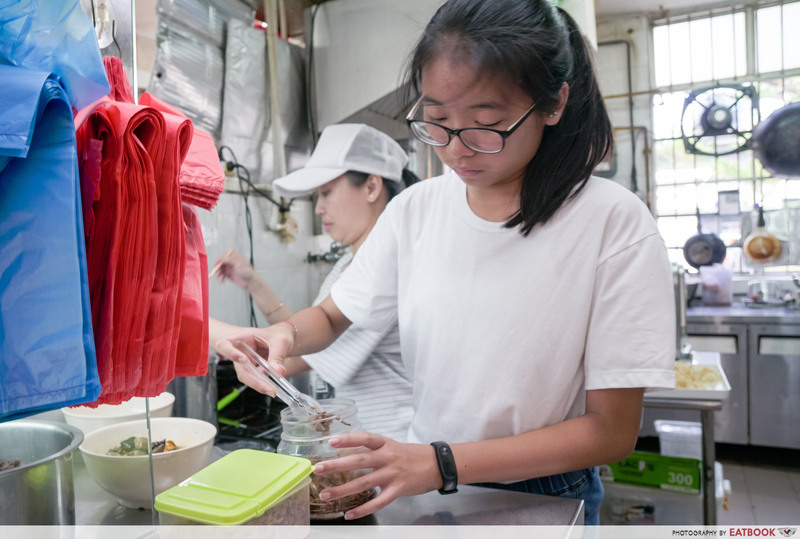 Making ban mian is something she picked up for her husband and daughter, and also because she missed the taste of her mother’s Hakka-style ban mian. Starting up a ban mian business had never crossed her mind, as she was only in-charge of taking care of her daughter back then. But things changed six years ago, when her husband gave her a call from Shanghai, demanding a divorce. She was left all alone with her daughter, and was jobless, impoverished, and lost. A few weeks after the call, she grabbed a chair and stood by the window. Overwhelmed with emotions, she told her daughter – who was seven years-old then – to behave, and that she was going to jump. When asked what went through her mind when she stood on the chair, she mentioned that her mind was blank, and her ears shut out the surrounding sounds. Thankfully, her daughter’s screams were loud enough to bring her back to her senses. A sentence of, “If you jump, I’ll jump with you” from her daughter who went down on her knees, made Mdm Leong come down from the chair. As they embraced each other in tears, her daughter suggested opening a ban mian stall to help them overcome their financial difficulties. After this incident, Mdm Leong was determined to make a change not only for herself, but for her daughter as well. She went around her neighbourhood, offering her neighbours ban mian in exchange for their feedback. 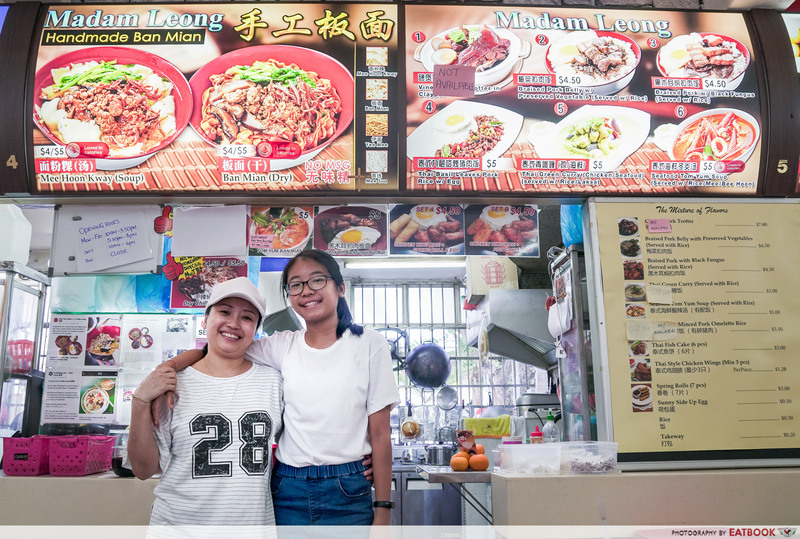 Positive responses from them boosted Mdm Leong’s confidence, and she knew she was one step closer to achieving her and her daughter’s goal of opening a ban mian stall. 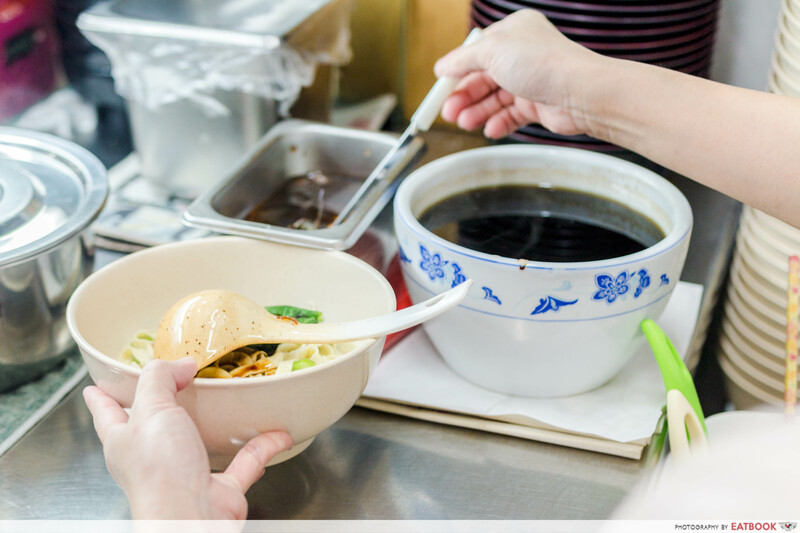 What was just a suggestion became a reality after Mdm Leong met a kind kopitiam owner who offered her a space to sell ban mian. 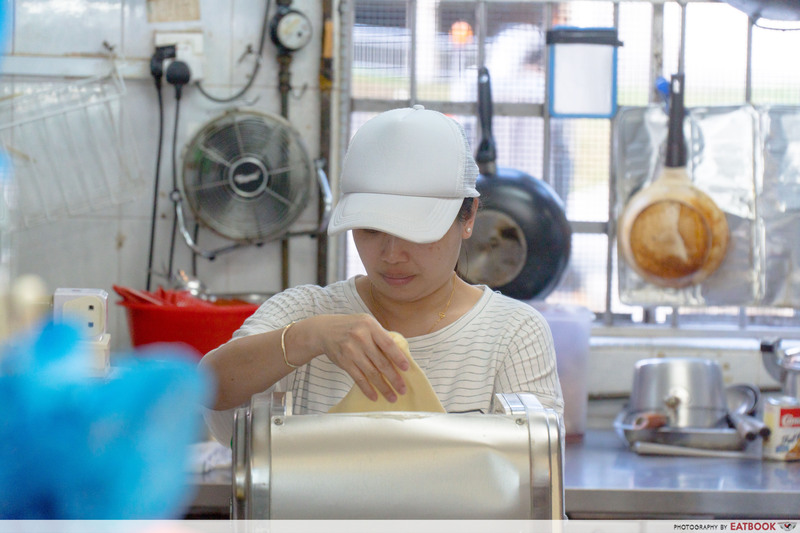 Running a ban mian stall made Mdm Leong find a purpose in life again. Using whatever her mother taught her, she makes the dough by herself, and flattens and shreds them using a machine that she bought after making a profit. And of course, she pressed on for her 13 year-old daughter as well, who assists her during her free time. Having come out of the tough period, Mdm Leong is now a completely different person. She faces everything positively, interacts with her customers regularly, and spreads joy to the people around her with her bubbly personality. When Madam Leong Ban Mian first started, there were only two dishes offered – Soup Ban Mian ($4) and Dry Ban Mian ($4). 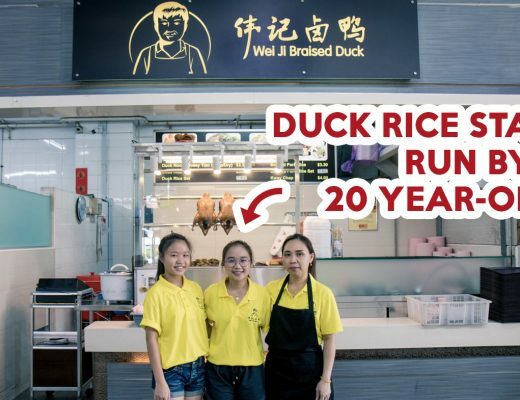 Mdm Leong got inspired to experiment with various flavours when her regular customers asked if she had more than just the soup and dry versions. After trying and testing various ingredients, she managed to add Braised Pork with Black Fungus Ban Mian ($5), Tom Yum Ban Mian ($5), and Dry Chilli Ban Mian ($4.50) to the menu. Other special flavours such as Curry Chicken Ban Mian ($5) are only available on Wednesdays. Sticking to the norm, we had the Dry Ban Mian first. 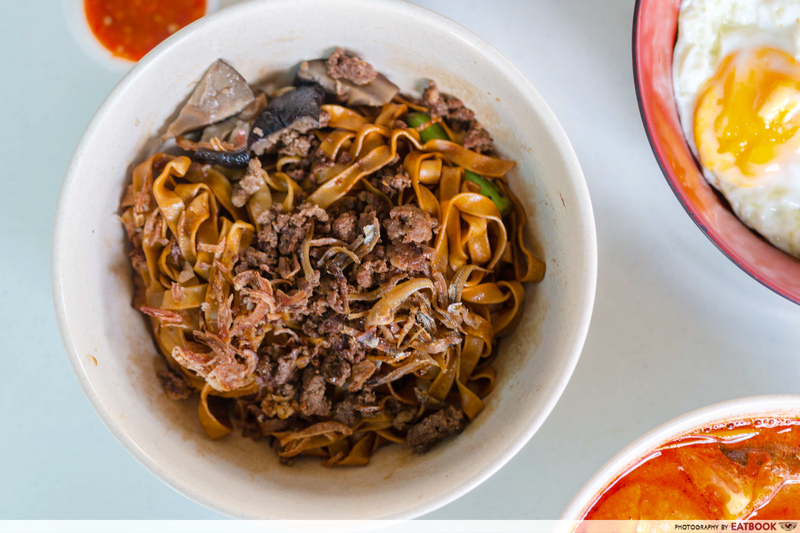 Coming together with the ban mian would be ikan bilis, braised mushrooms, minced pork and vegetables. A right amount of dark soya sauce was mixed together with the noodles. With that, the flavour of the Dry Ban Mian was well-balanced. 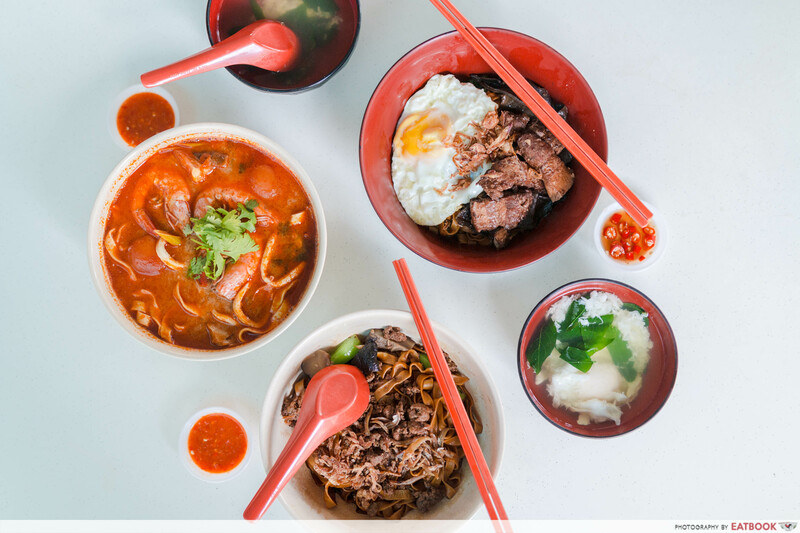 While most ban mian stalls provide just plain soup to customers who order dry ban mian, the one at Madam Leong is different. 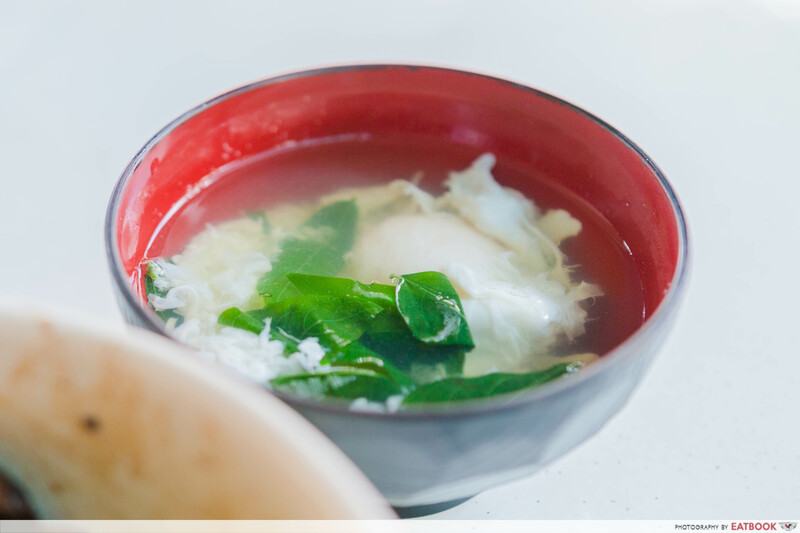 The soup contains vegetables and a poached egg. Though it is bland, it helps to balance the saltiness of the dark soya sauce gravy. Next up was the Braised Pork with Black Fungus Ban Mian. This particular dish got me excited as it is not something offered by other ban mian stalls. 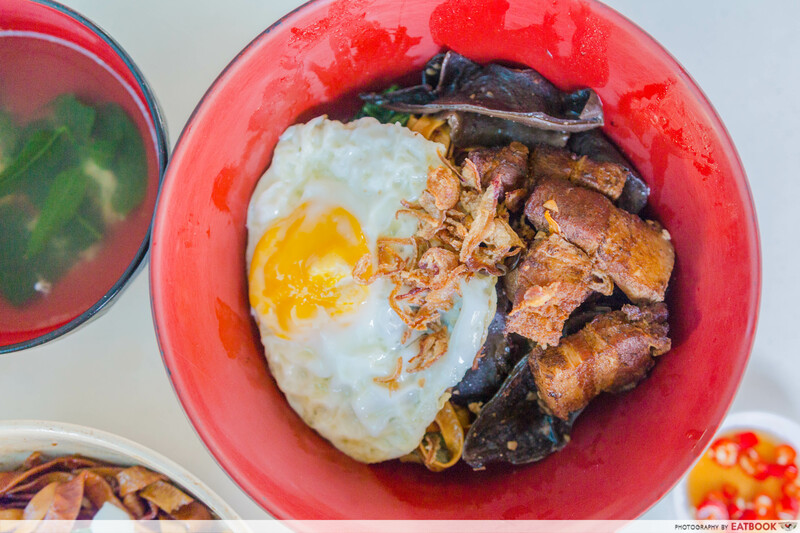 Besides just braised pork and black fungus, this dish comes with a sunny side up as well. As I mixed the noodles up, I couldn’t help but notice how springy they were. 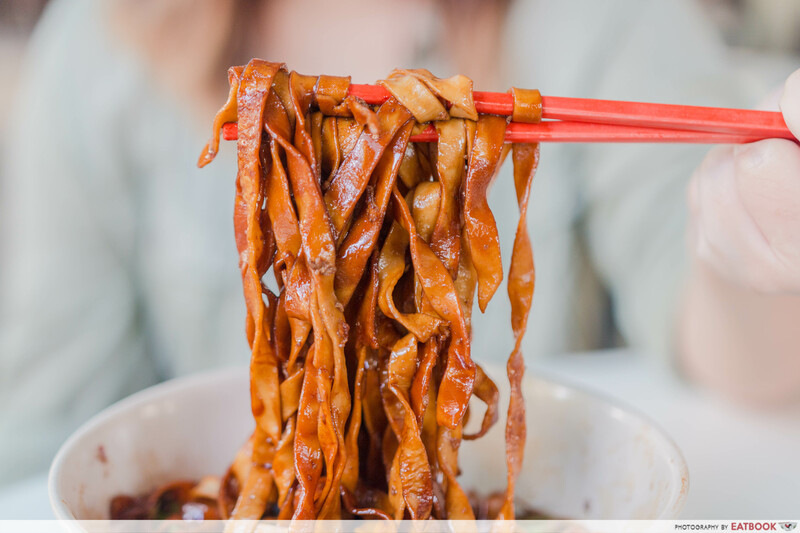 Each strand soaked up the dark soya sauce perfectly, adding flavour to the noodles’ plain taste. According to Mdm Leong, she braises the pork two days in advance before serving it. The pork is left to soak up the flavour of the braising sauce, which also softens the meat. True to her words, the braised pork was indeed flavourful and tender. 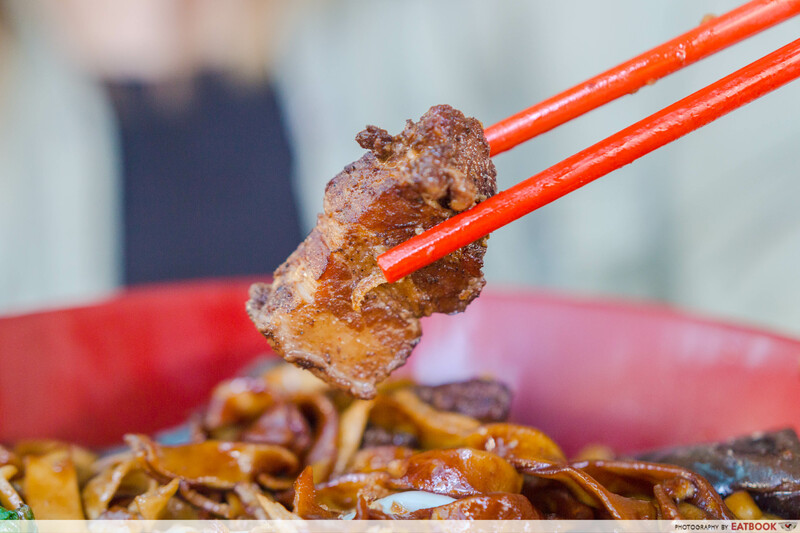 The taste of the Braised Pork with Black Fungus Ban Mian is slightly different from the Dry Ban Mian. The former is saltier and the flavour of the sauce is further enhanced by the braised pork. Last but not least, was the Tom Yum Ban Mian ($5). 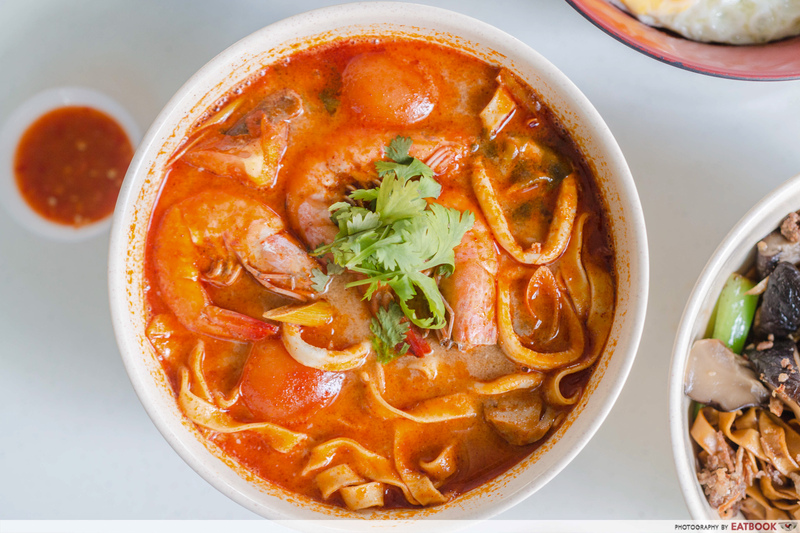 When I was first served this dish, my nose was hit by a pleasant aroma from the tom yum broth. Without even trying it, I was already confident that this dish would not disappoint. True enough, it didn’t. 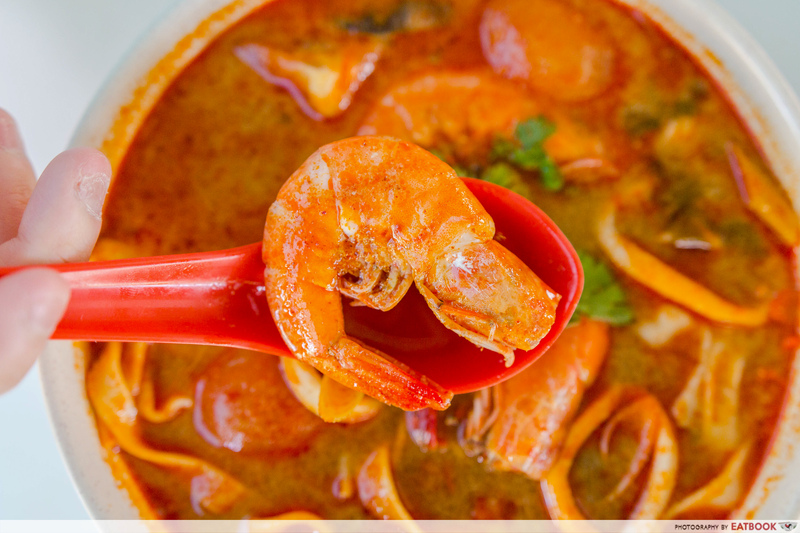 Swimming around the tom yum broth were three prawns, sotong, and mushrooms. Coconut milk was added to the tom yum broth. The broth was thick and came with a tinge of spiciness. This dish is usually made by Mdm Leong’s business partner and friend, who formerly worked as a cook at a Thai restaurant. Unwilling to let him lose his touch, Madam Leong offered him a position in her stall to let him put his skills to good use. The story of Mdm Leong touched me deeply. She is a true inspiration, and said that she is honoured to be able to share her story with the public to encourage those who are currently struggling in life. What’s more, her ban mian is very tasty and worth a trip down even if you don’t live nearby! 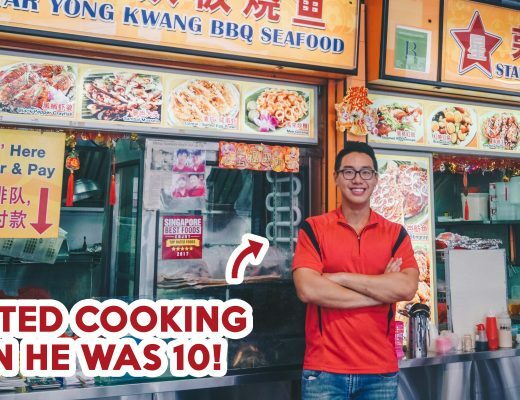 For more inspiring stories of hawkers, check out our features of Wei Ji Braised Duck and Jia Xiang. For more delicious noodles, check out our review on Biang Biang Noodles Xi’an Famous Food, which also serves a unique variety of handmade noodles. Madam Leong is not a halal eatery.